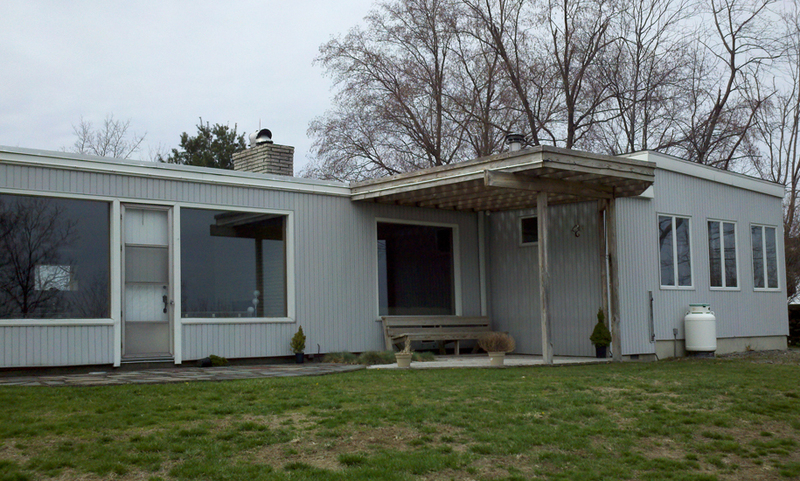 The owners’ of this mid-century modern home in the Hudson Valley were originally drawn to its casual, open living space and peaceful, wooded site. They were less excited, however, with the underwhelming connection between the living space and the surrounding woods and the Hudson River beyond. Additionally, the interior of the home was finished in a disorienting array of materials from brick to wood paneling and bamboo floors to terra cotta tile. 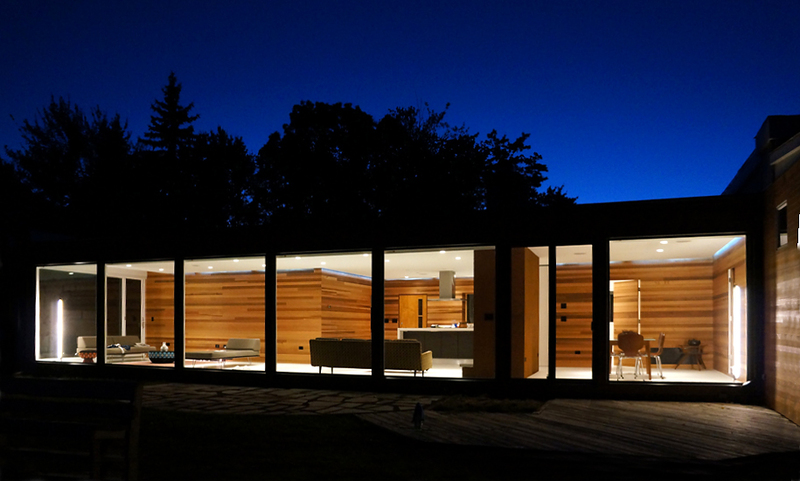 In order to improve the connection between the interior and exterior, we removed the exterior walls in the living space and replaced them with floor to ceiling windows and sliding doors. We also reconfigured the kitchen, laundry and mechanical spaces to create an even more open and connected living space. The original interior finishes were removed and replaced with a simple palette of cedar clad walls and white epoxy floors. The cedar is an extension of the original siding that wraps the exterior of the house. We carried it into and through the living space in order to reinforce the indoor/outdoor connection and to further unify the living spaces. The white floors and ceiling help brighten the space and highlight the cedar walls.